The press days of the 2015 Frankfurt Motor Show showcased a thrilling collection of new production cars and concepts. The press had been given a traditional sneak peek at some of the show stoppers at Monday night’s preview events, but when the Frankfurt show began in earnest, it did so with a bang. The Frankfurt Motor Show is an epic experience that dwarfs other international motor shows with its shear scale. 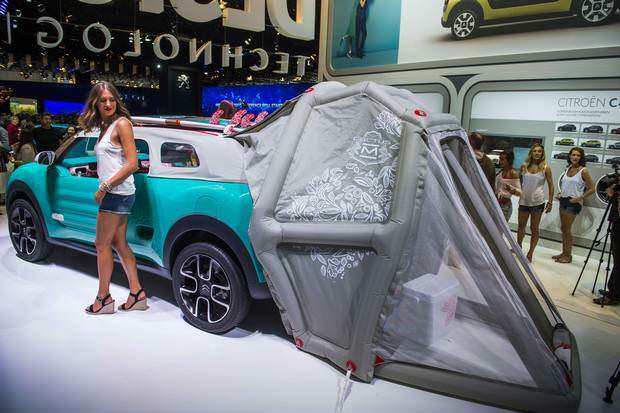 The German manufacturers are on home turf and they aren’t shy about letting everyone know it with their huge stands and head-turning exhibits. Having said that, the others had a very good go at keeping pace. 1.Like most automakers, Mercedes-Benz is studying the future of the automobile and building concept cars to predict that future. 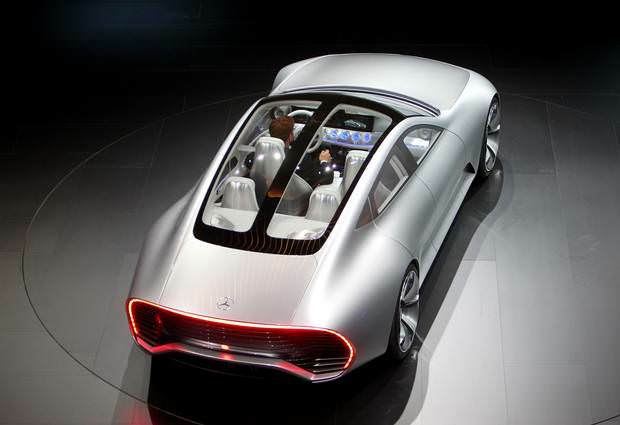 The night before the 2015 Frankfurt Auto Show, Mercedes-Benz unveiled its latest concept, the Intelligent Aerodynamic Automobile (IAA), to a gathering of journalists. Read More. 2. 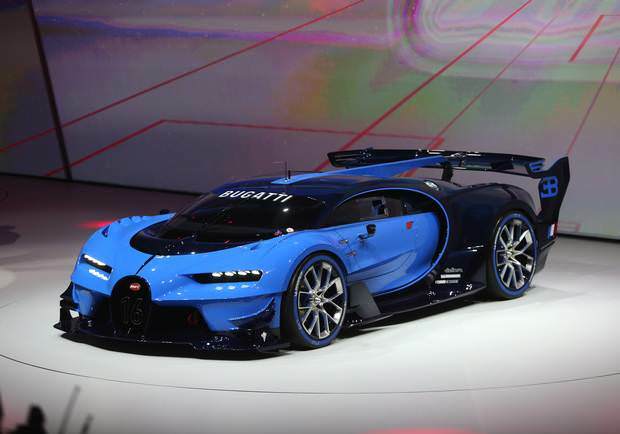 Bugatti has been parading its Vision Gran Turismo concept around for a while now. So far, it’s all been digital: the concept was designed for the wildly successful Gran Turismo 6 racing simulator, done up as a flight of fancy that didn’t have to obey the laws of physics and the demands of the real world quite so rigorously. But now, Bugatti has made one in flesh and blood—or rather, carbon fiber and metal—and unveiled it at the Frankfurt auto show. Read More. 3. The Cactus combines impressive style with practical functionality. Citroen designers ignored the rules of conventional car design and explored ingenious solutions for functions and features they think drivers will love. Read More. 4. 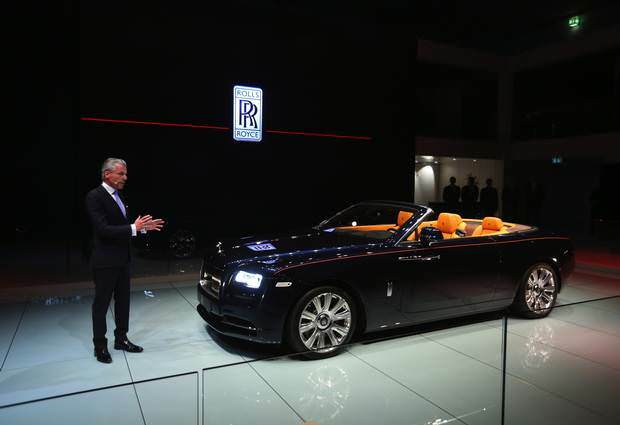 The launch of a new Rolls-Royce isn’t something that happens with a great deal of regularity. When you’re the epitome of luxury, announcing a new model of motor car is something of a celebration, a chance to show the world your craftsmanship and reassert your position. Read More. 5. The Peugeot family might be going back to their pepper mill business since losing a big stake in the company, but the automaker itself is still hard at work with new Quartz concept car for the Frankfurt Motor Show. Read More. 6. 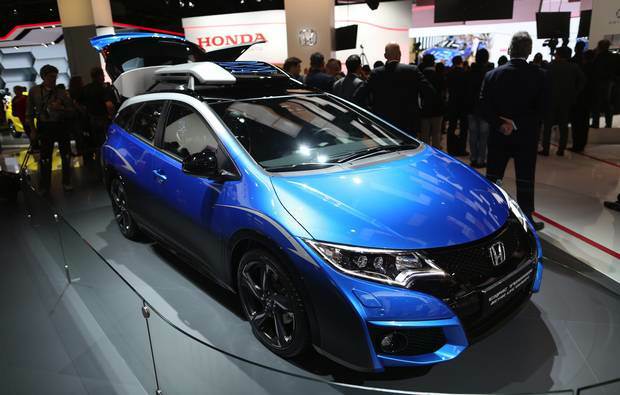 A Honda Civic Tourer Active Life Concept Car. The Concept study shows that style and space can work together; a custom paint colour further enhances the sleek and sporty exterior and an accessorized interior demonstrates the Concept’s suitability for an active lifestyle and the needs of its customers. Read More. 7. 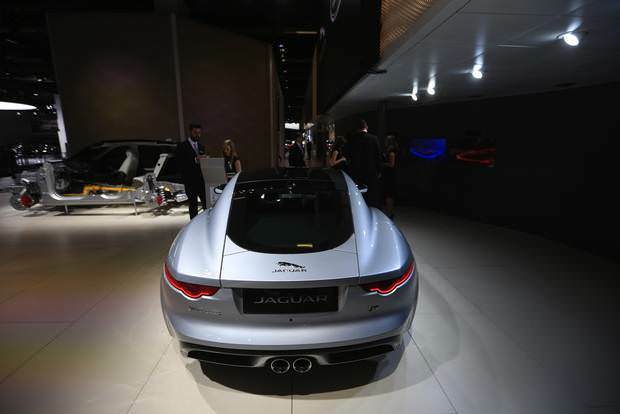 A luxury Jaguar F-Type automobile, produced by Jaguar Land Rover Plc, sits on display. The bigger reveal from Jaguar, though, was the F-type Pace, an SUV for the sports car enthusiast. Read More. 8. 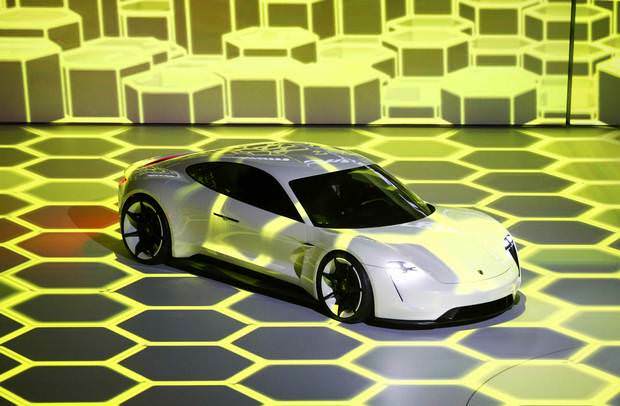 The new electric Porsche Mission E concept car is presented during the Volkswagen group night ahead of the Frankfurt Motor Show. Porsche goes head to head with Tesla Motors to see who can be king of electric cars. Read More. 9. 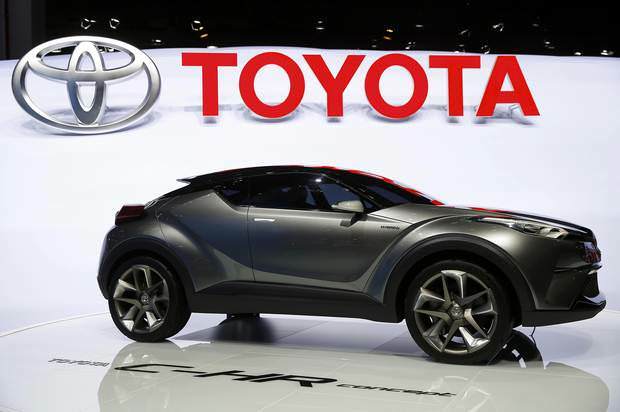 A Toyota C-HR concept car is pictured during the media day at the Frankfurt Motor Show. In 2014, Toyota rolled out a subcompact crossover concept at the Paris Auto Show. The concept vehicle, dubbed the C-HR, previewed an upcoming rival to the Nissan Juke that may end up packing a hybrid powertrain. Now, Toyota has arrived at the Frankfurt Auto Show, and an updated C-HR has joined the party. Read More. 10. 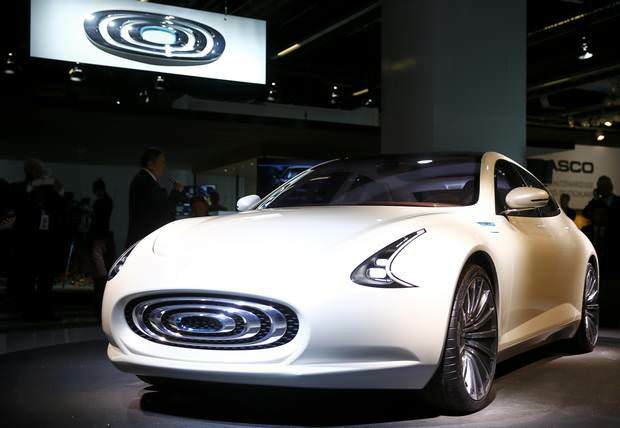 When you think of electric car manufacturers, Thunder Power doesn’t exactly spring to mind. 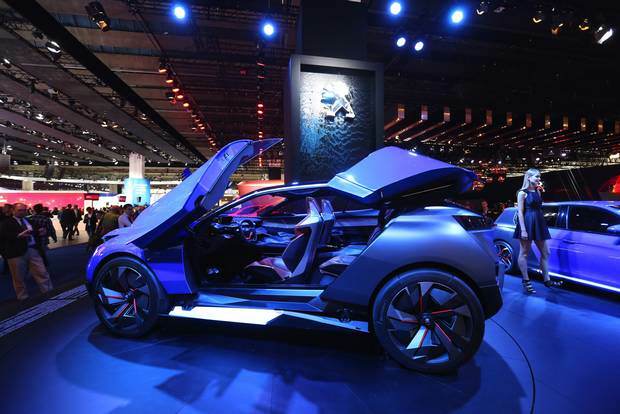 But the Taiwanese electronics company has used the Frankfurt Motor Show to unveil a new fully electric car with a claimed range of 650 km. Read More.